Applying for disability benefits from the VA can be complicated. After months of tracking down documents, forwarding additional paperwork and presenting your best, most complete application to the VA, it can be incredibly frustrating to find out your claim has been denied or you have been underrated. Thankfully, you don’t have to take that for an answer. Veterans have the right to pursue an appeal and get their decision changed. 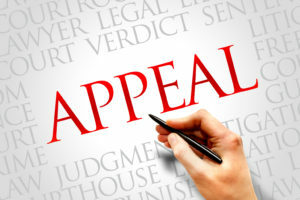 While appeals are possible, it’s important to note that the process can take years. Experts estimate the average wait time for an appeal is two to five years. Because of the massive backlog of appeals, the VA is taking steps to change the way they process cases. New legislation going into effect in February 2019 has the potential to speed up the way appeals are handled. Still, patience is critical for anyone hoping to change a VA disability benefits decision. Veterans have one year from the date of the VA’s decision letter to file a Notice of Disagreement, or NOD, a form initiates the appeal. Miss that deadline and the decision becomes final and irreversible. Luckily, the form itself is fairly straightforward. Unfortunately, the rest of the appeals process is anything but. There are a variety of veteran legal services that can help with appealing your case. After a NOD has been filed, veterans can request a a “de novo” review by a Decision Review Officer, or DRO. During this process, the previous decision is disregarded and a new higher level employee will review your case without giving any deference to the previous decision. You can request a hearing with the DRO and new evidence can also be submitted during this process. Many times, the DRO will find an error and approve a claim based on the evidence submitted. When this happens, the DRO will issue a new rating. If the DRO upholds the previous decision, an SOC, or Statement of the Case, is issued. The SOC will explain in detail why the claim was denied or rated accordingly. At this point in the appeals process, veterans can accept the decision or continue trying to overturn the ruling. Veterans have 60 days from the time they receive an SOC to file a VA Form 9 to formalize the next steps in the appeal process. This should be thoroughly completed with as much medical and factual evidence as possible. Here is where lawyers for veterans can truly come in handy. They can help veterans complete this form and ensure the best argument for benefits is made. From there, the form is certified and brought to the BVA, or Board of Veterans Appeals. Veterans can request personal hearing from a travel board judge or opt for a video conference hearing with a member of the BVA. Personal appearance hearings in Washington DC are also available. For the fastest results, experts recommend the video conference hearing option. Regardless of platform, veterans often wait for years to get their hearing. For those who want to forgo the DRO route, traditional review is an option. Bypassing the DRO process, traditional review is completed by a Veterans Service Representative, or VSR. After they look over claims for accuracy and thoroughness, the VSR sends the appeal onto the BVA. Traditional reviews can take upwards of three or four years for completion, as opposed to DRO reviews, which take between one and two years. This difference is why many people prefer DRO reviews. There are drawbacks, though; DRO may be quicker, many believe that the DROs have less experience and discretion than a BVA judge. A BVA judge has more experience, and a legal background to review and interpret the law. When a veteran is injured and waiting for disability benefits, learning their claim has been denied can be crushing. Learning that the appeals process can take years can be equally disheartening. While it is easy to be discouraged when faced with a denied claim, it is important to stay focused on the goal at hand. It is critically important to stay optimistic and present the best case during the appeals process. Even as the years pass by and weary veterans grow frustrated with the VA, it is crucial to remain patient and know that your initial claim date is held in tact. Because the appeals process can take years to complete, it is important to keep track of any and all documentation related to the claim. Make copies of forms you submit to the VA and back up paper copies with digital scans in the cloud. The last thing you need is having to scramble for a document, should the VA request further evidence. If the appeals process is overwhelming or you believe you could benefit from speaking to an attorney, know that legal help for veterans is available. Veteran’s Law Group can connect veterans with compassionate, knowledgeable lawyers eager to assist servicemen and women. Call (888) 811-0523 today to get started.